“F!NK is about quality, Australian-made and designed, innovative, about people and with a sense of quirkiness.” Gretel Harrison, F!NK + Co.
“Mr, Mrs, and Junior Squash.” These multi-purpose vessels playfully explore the notion of the recycling of aluminium and how cans are ‘squashed’ both before and during the process. Foster’s pressing technique used to create this vessel has resulted in a unique contorted pattern that resembles a face — both happy and sad — reminiscent of a clown. The domed lid continues the theme as it mimics a clown’s hat. ‘Mr Squash’, ‘Mrs Squash’ and ‘Junior Squash’ are mix-and-match so you can create the perfect combination to complement your decor. 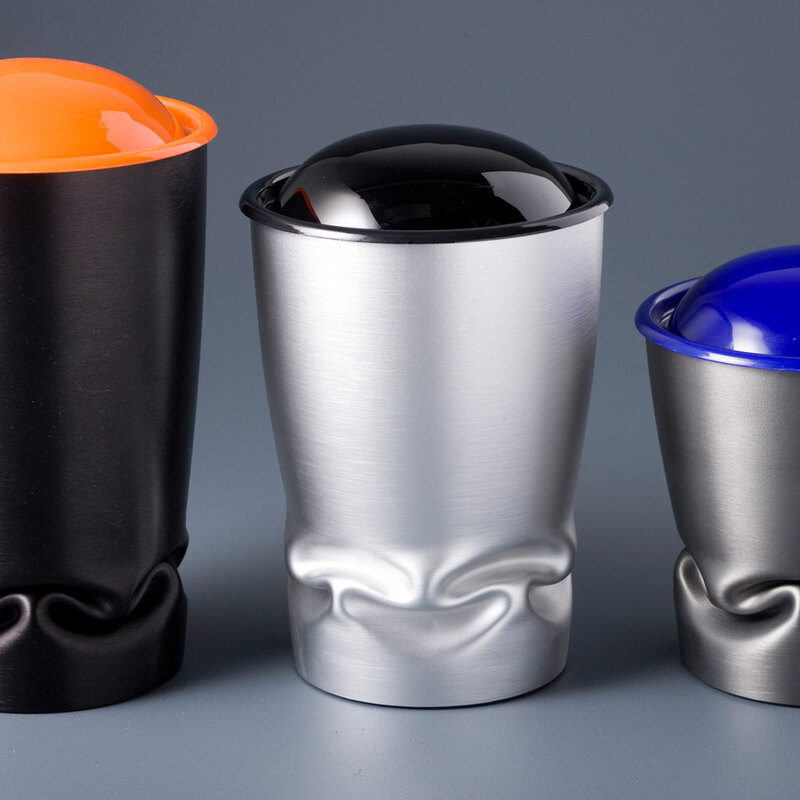 Three different sizes small (1.5L), medium (2L) and large (2.5L) come in a brushed finish in silver, black or charcoal. Lids are available in red, orange, blue, black and white. Perfect as a tea caddy, storing biscuits, sugar, flour and a whole lot more!